This section explains how to restore folders and items back to the production environment. Restore of In-Place Hold Items is not supported for Exchange Server 2013 due to Exchange limitations. 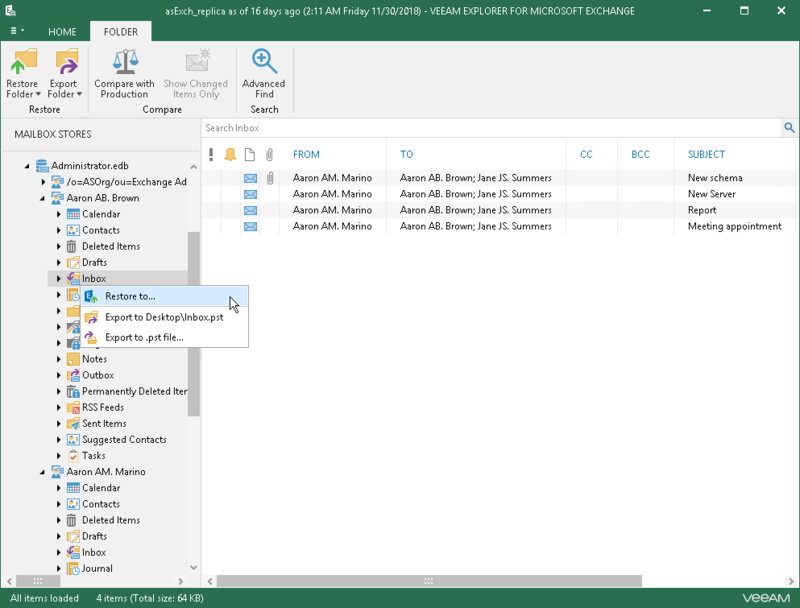 In-Place Hold Items of Exchange 2016 mailboxes must have In-Place Hold enabled and applied at least once with the DiscoveryHolds folder creation. For more information, see this Microsoft article. In the navigation pane, select a folder or mailbox item. On the Folder/Items tab, select Restore Folder/Item > Restore to or right-click a folder/item and select Restore to. Proceed to Specify Target Mailbox and Domain Account.